Arc Angels were a blues rock band formed in Austin, Texas in the early 1990s. The band was composed of guitarist and singers Doyle Bramhall II and Charlie Sexton and two former members of Stevie Ray Vaughan's band Double Trouble, drummer Chris Layton and bassist Tommy Shannon. The 'Arc' in the band's name came from the Austin Rehearsal Complex where the band first started jamming. 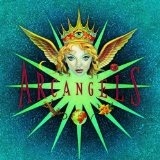 Their 1992 debut album, Arc Angels, met with critical approval and reached No. 127 on the Billboard chart. Arc Angels made their network television debut on the NBC show Late Night with David Letterman on June 9, 1992, performing "Living In A Dream". They performed on the show again on January 6, 1993, this time playing "Too Many Ways to Fall".